I wish I could claim to have been too busy to blog but that’s just not true. The only way I can explain my absence is to say I’ve been hibernating. The holidays took their emotional toll and when I feel down, I tend to crawl inside myself and wait for better days. It hasn’t helped that I’ve been sick off and on for six weeks, first with an upper respiratory infection, then a serious bout of cellulitis. With the help of multiple antibiotics, I finally feel I’m on the mend but doctors have warned with my compromised immune system and aging, I can expect increasingly severe illnesses more often. Oh what fun!! In the meantime, I’ve enjoyed visits from Jacob. It’s a great comfort knowing when I’m in need, he drops everything and comes. When he’s not here, he checks on me daily. I am so fortunate my only child grew up to be compassionate and kind. I couldn’t love him more! As I’m feeling better, I’ve started sewing 2 new shirts for Jacob. I hope to have them complete (and photos shown here) before his next visit. I’ve also picked up my knitting needles again. I’ve found following patterns and counting stitches is a terrific distraction from ‘the sound of my own gears’ but doesn’t interfere with movie viewing or conversation. 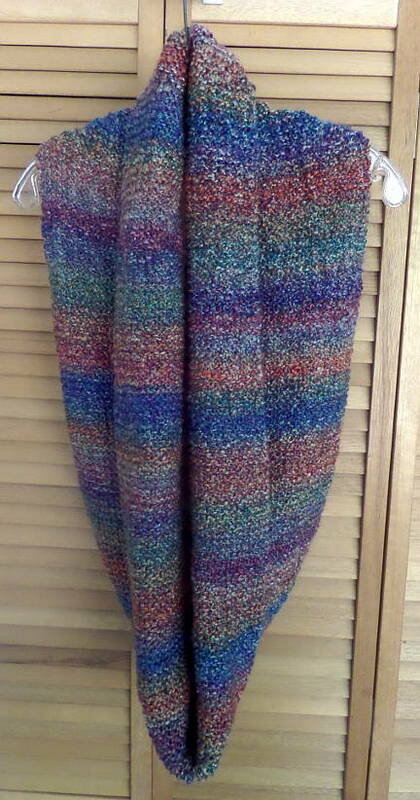 After winning some incredibly inexpensive (and not so pretty) yarn on eBay®, I’ve knitted another scarf. Folded in half, it is 37″ long. 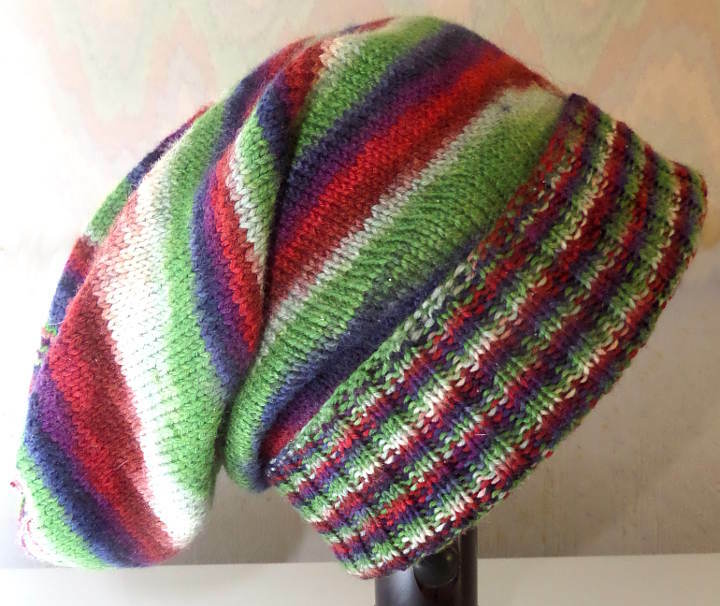 It is knitted in the round with linen stitch in Mardi Gras colors of purple, green, gold and white. I already own several shirts in these colors so this will be a nice accessory for chilly days especially prior to Ash Wednesday (when Mardi Gras ends). The linen stitch makes a dense fabric so knitting it is slow going while mindless, making it a perfect pattern to knit during my sickest days. Also, while I was sick, my across-the-road neighbors sent over several tubs of homemade soup. I can’t say how much I appreciated it and after racking my brain on how to show my appreciation, I’ve baked cookies to fill the returning tubs and am gifting a couple of hand knitted cotton washcloths. I’ve made several and will share them with friends and family members. They are perfect for body/face cloths as the nubby stitches act to exfoliate and feels invigorating to the skin. 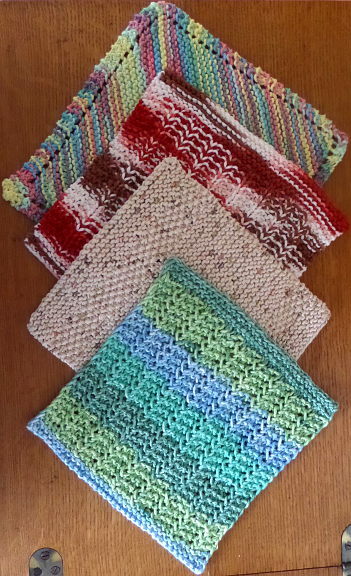 They also make excellent dishcloths with the texture offering good scrubbing action. I’ve really enjoyed knitting them and look forward to gifting them along with bars of my handcrafted soaps. I plan to make several more since I love using them too! After baking 2 loaves of yummy banana nut bread yesterday (one for the freezer) and not putting away the baking supplies when I was finished, today I plan to make cookies. I’m expecting visitors in the coming weeks and it would be nice to have homemade treats to serve and send home. I love using wholesome ingredients and reducing refined sugar. Today, I’ll bake chocolate chip cookies by exaggerating Betty Crocker’s recipe (more chips, more nuts!). Before I lose interest or my energy runs out, I hope in the next few days to bake nutty peanut butter chocolate chip cookies and oatmeal apple walnut cookies. Thanksgiving has come and gone and I spent it with my dogs (they’re lonesome too). In looking ahead to a long string of holidays and birthdays, I get the feeling each is a hill to conquer. Eventually, I hope being alone feels more natural and the hills less steep. In the meantime, I’ll keep busy and concentrate on TODAY. The holiday wasn’t too bad and I cooked and feasted as usual. I baked turkey wings and drumsticks, sweet potatoes and the very last cream peas stashed in the freezer. With bits of bacon and plenty of onion, those peas were wonderful! The entire meal was delicious and I made plenty to provide for days of leftovers! YUM! To fill the evenings, I’ve continued knitting and made this turquoise and shades of grey long scarf. 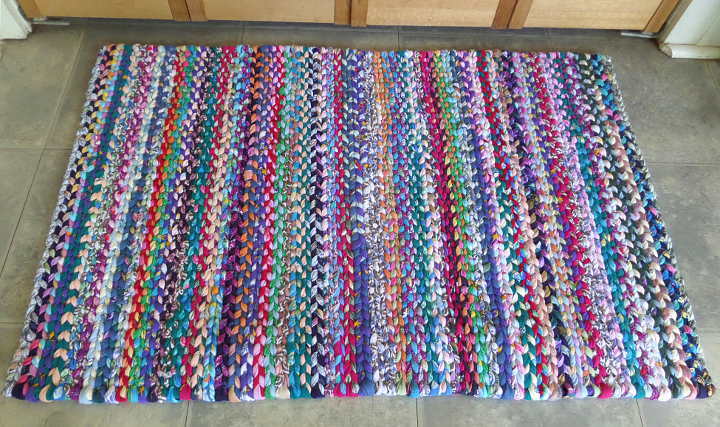 It finished at 87″ x 5 ½” with an additional 3″ fringe. I love the super-long length as it provides for multiple ways of wearing it. It can be worn as shown in the picture, doubled around the neck or doubled with the ends drawn through. I will be gifting it and hope the recipient enjoys it. 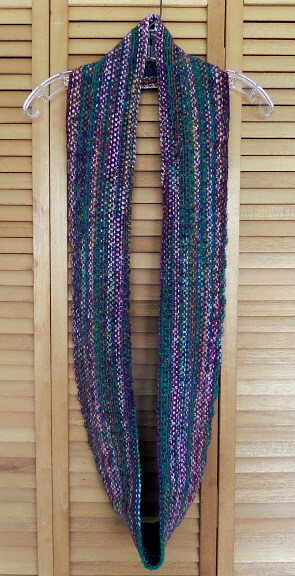 When the scarf was finished, I decided to use some yarn I’ve had for many years and make some leg warmers for myself. I like wearing them under my boot cut jeans for added warmth in my chilly house. I found a pattern that would offer me more practice of knitting in the round using the magic loop method. The yarn is fairly small and the needles required were smaller than I’m accustomed to so the progress was really slow. After knitting a lot on the first leg warmer, I remembered that I already own some nice ones. I dug them out, tried them on and decided I truly don’t need another pair, especially ones taking most-of-forever to knit. Though the first skein of yarn was almost used, I ripped it all out. 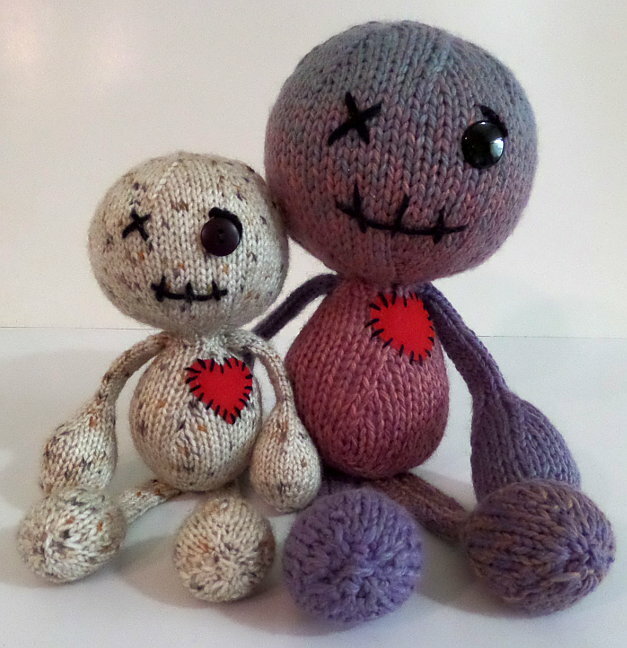 I’ll find something else to knit with the yarn. I’ve also done some VERY little sewing this week From scrap fleece, I’ve cut out a self-drafted long-sleeved top with a kangaroo pocket. I had hoped to include a hood but didn’t have enough fabric. I managed to get half of it sewn before I ran out of enthusiasm. Maybe when the house gets colder, I’ll be inspired to finish stitching it. The temperature is dropping tonight so we shall see! I hope the rest of your week is joyous! First I would like to thank Ceci, Helen, Sheryl and Janice for the kind words. They truly helped carry me through a difficult day. Thank you for caring. It is so appreciated. After crying a few tears on our anniversary, I decided to remember funny times… those rare moments that have me laughing decades later. I also spent a few hours cooking. I baked a half ham slathered with dijon mustard, sweet potatoes and cooked some of the purple hull peas I had frozen from our garden. The meal, though eaten alone, was delicious, as were several consequential leftover dinners. Today for breakfast, visiting Jacob and I enjoyed grilled ham and cheese sandwiches on whole grain and there is more ham to freeze for later. No ham ever goes to waste in this house! I have devoted more time to knitting. 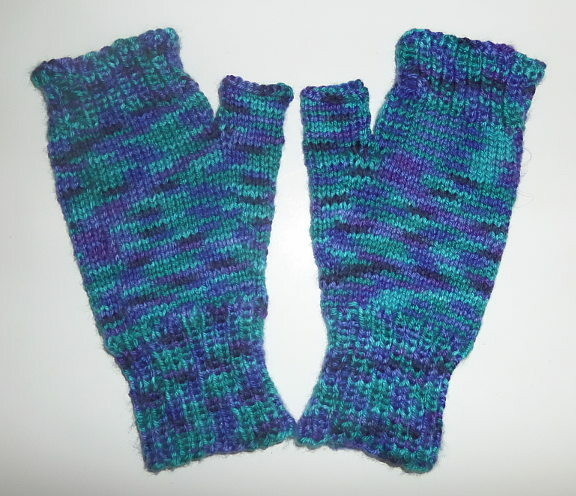 I finished the second fingerless mitten… this one without mistakes! Since I plan to use them at home, I don’t mind they aren’t perfect but will serve their purpose well. 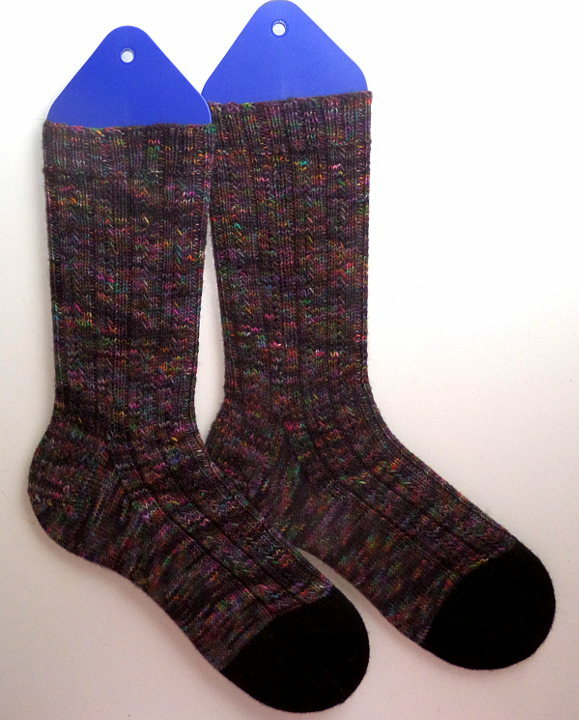 They were knitted with Caron® Simply Soft Paints in the color Oceana. I don’t know the yarn weight for sure but it feels and knits like sport weight and the sizing was perfect using size 7 needles. The pattern called for either DK or worsted weight. I frankly don’t know what ‘DK’ means as much has changed since I ‘understood’ knitting terms. The next thing I knitted is a snuggly cowl. 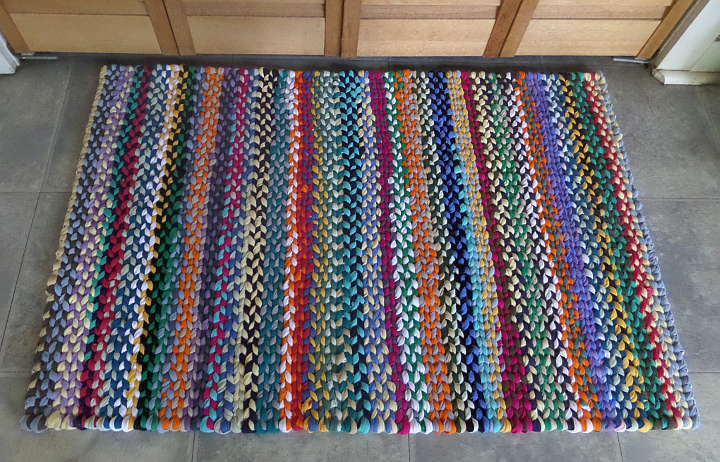 It’s made completely with garter stitches and finished 13″ x 60″ before stitching into a loop. I used Lyon Brand® Homespun® bulky weight yarn and size 10 needles. The color of the yarn is Painted Desert. Not only do I love the soft texture and colors but I will enjoy the versatility of the garment. I can wear it as shown as a long cowl but because it’s so long, there is plenty to cover my head on misty, rainy or windy days. I can even wrap it around my neck twice for a snuggly turtle neck. With the width, I can completely cover my shoulders and upper back for added warmth. It will be useful in so many ways this winter and I know I’ll enjoy wearing it! I’m currently knitting a narrow scarf in shades of turquoise and gray worsted yarn. When this is done, I hope to make some lacy, feminine fingerless mittens. I also plan to drag out a sewing machine and make myself some flannel and fleece pajama pants and if yardage allows, some warm t-shirts too. Since the weather here in East Texas has cooled, I’ve been outside enjoying it. I’ve spent several days mowing near the house. I really wish I could mow it all (just less than 6 acres) but all I have is a push-type mower and am the sad owner of ruptured and spun spinal disks. I don’t dare get back on a riding mower or tractor. Though it sometimes doesn’t seem worth it, I’ve continued cooking for myself most days. On other days, I eat leftovers (which I don’t mind). I also cook for the spoiled brats dogs. This week, they shared 10 lbs. of roasted chicken with me. Later, we’ll eat pulled pork. My dogs eat better than most but I only feed them meals that cost less than dog food! I’ve devoted most of my evening attention to finishing the rug using DH Bob’s old t-shirts. I completed it this afternoon and am anxious to present it to DS Jacob. I only have a few t-shirts left but combining them with many of my own that I don’t wear, I should have enough to make another rug for myself. After racking my brain for a use for DH’s many white athletic socks, I’ve decided to cut them up to use for stuffing dog beds. My critters like their current beds in my office but sleep on thin rugs in my bedroom at night. With winter coming, I know they would appreciate having warm, snuggly nighttime beds. What other use do I have for a huge laundry basket stuffed full of socks? Wish I could find a clever use for men’s underwear! The last few weeks have been emotionally bumpy but I’ve tried to stay busy. Focusing on individual tasks has been a good distraction and there are MOUNTAINS of tasks needing attention. I’ve also re-discovered the joy of cleaning (!). I love that I can scrub away years of grime and things stay clean. DH was a mindlessly sloppy person and I had given up on cleaning behind him. It was one of those battles I quit fighting. I’m also enjoying re-discovering my independence. Yes, I can saw lumber, mow grass, change light bulbs, cook on the grill, burn trash, grocery shop and all the other chores DH had normally done. I’m proud to be finding my ‘roar’ after all these years. I was worried I might fall into poor eating habits as I’ve witnessed so many of my single peers do. Yes, I’ve eaten a couple of ‘convenience meals’ but still prefer cooking (and eating) from scratch. 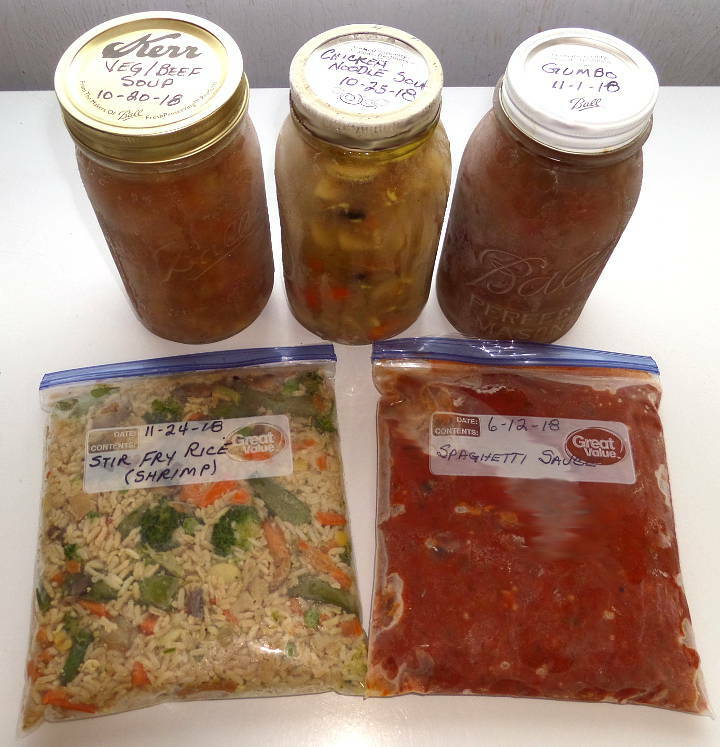 I’ve learned to make half the quantity and often have enough for multiple meals. 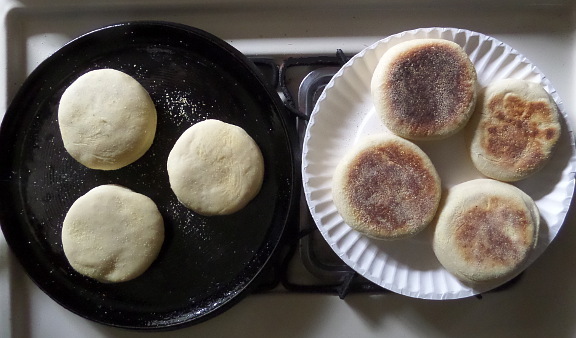 Because I enjoy baking, this week (for the first time), I made English muffins. I love them and am thrilled to find they are so cheap and easy to make. They’re freezable too! Today, I will bake several versions of oatmeal cookies. I don’t care to eat oatmeal for breakfast but this will be a good way to use the new carton of DH’s oatmeal taking up space in the pantry and have sweet treats for Jacob when he visits in the coming days. I will also make pita bread for quick lunches I know we’ll enjoy. I’ve continued working on the String Pyramids quilt. I was originally making it for DH but now it’s for his empty bed. It’s pretty and keeps my hands busy as I relax in the evenings. Yippee yea! It’s finally done! 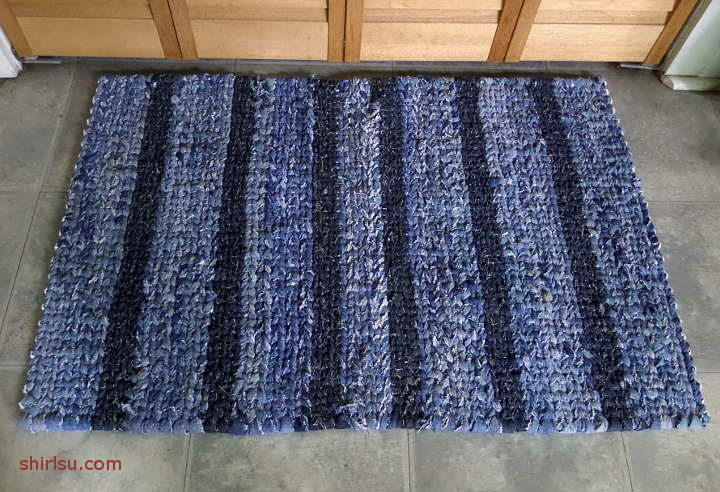 The denim rug is finished and ready to greet folks entering our kitchen door, or for that matter, bid them adieu as they leave. It’s a tough rug so I’m confident it can stand up to lots of foot traffic… for decades! I love it’s made from our own old jeans though it added much work to ‘de-pocket’, ‘de-seam’ and cut into usable strips. I only used the back section of legs as our old jeans fronts are always worn to rags. I estimate 30+ pairs of jeans were used to make the rug with scraps to spare for future projects. Between rain storms (and we’ve had PLENTY! ), I’ve harvested more garden veggies. Yesterday, DH and I made stuffed bell peppers using not only peppers from the garden, but also home canned tomatoes from last season. We added meaty spaghetti sauce from the freezer (also with home canned tomatoes) that DH made several weeks ago. I have to say these were the very best stuffed bell peppers I’ve ever eaten!! DH is feeling stronger each day but is still experiencing pain in his upper chest/shoulder area. He’s waiting to hear back from the doctor’s office for his next appointment. Hopefully, they will finally figure out the cause and treat it. It’s another rainy day here so I think I’ll drag out an unfinished quilt and add some stitches. I have several at different stages so a variety of work from which to choose. String Pyramids is calling for attention. For the past week, there has been a radical slow down of any production from me. I have a blown disk in my neck causing stiffness and pain radiating into my left shoulder. 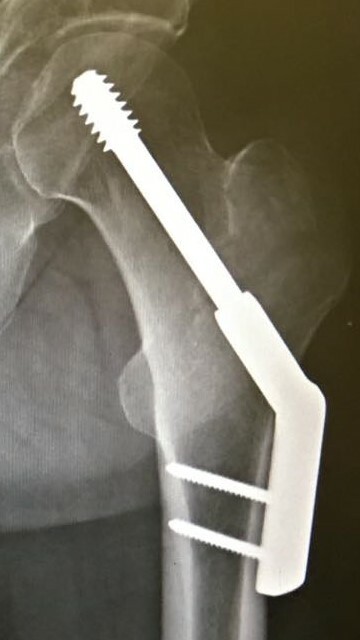 This has happened before so I’m familiar with the pain, treatment and exercises to perform. Unlike the past, I don’t know what caused it this time. The only unusual activity I’ve done is pick a few dewberries along with DH, denim rug wrestle and hoe weeds in the garden. Shoot, regardless of the cause… the pain is the same. 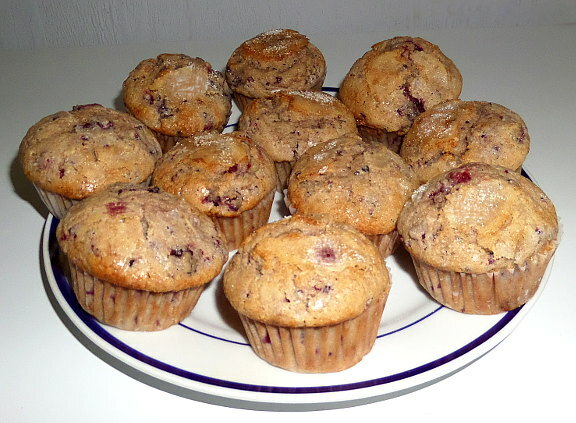 DH has managed to pick dewberries twice so I’ve made muffins with fresh berries and froze enough to make four more batches. I love cooking with dewberries and wish I had more. They make the best jelly in the world but because of the late freeze this Spring, our crop is limited and the individual berries aren’t very large. They are still so tasty! 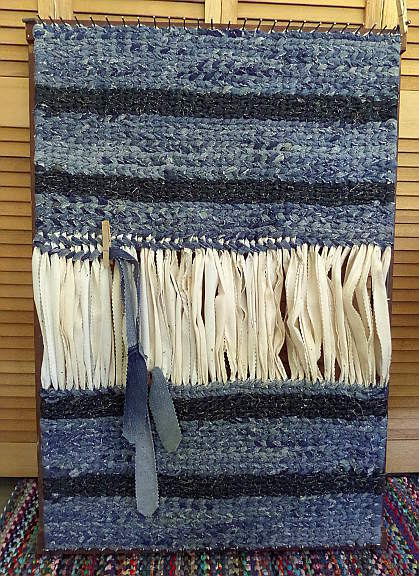 Until my shoulder pain became too severe, I’ve continued to slowly weave the denim rug. As it gets closer to finished, I’ve gotten more and more excited. I love how it looks and am anxious to use it in our kitchen. The design is made of 10 rows of faded, recycled denim (from our own old jeans), then 5 rows of new midnight blue denim fabric from my stash. I’m not delusional that this design will finish evenly so it remains to be seen how the rug will appear when done. It may have a wider or narrower dark stripe in the center. Either will be attractive and the rug will be so fun to use! For the next rug, I plan to use the huge stash of rip-stop nylon from my fabric stash. 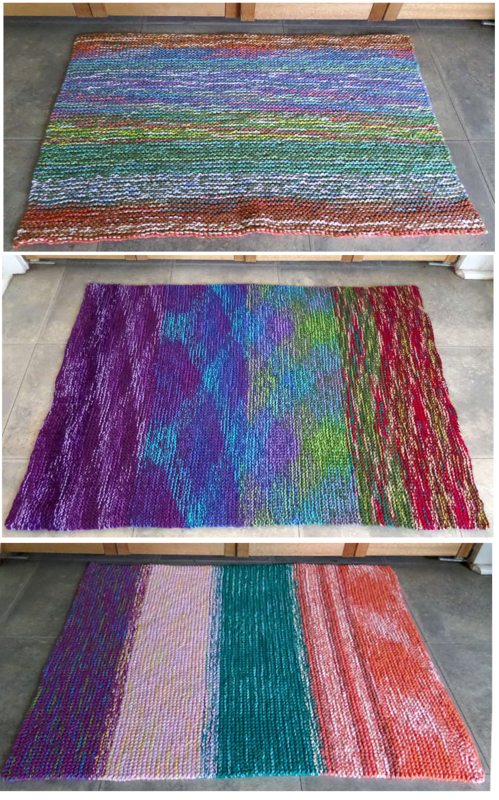 Most of the colors are bright and I will use the rug outside the kitchen door in the carport where it will handily eliminate so much sand from being tracked into the house… at least, that’s my hope! It will be a great way to reduce that space-eating, large collection. It’s time to use it or chunk it and will be so much softer, more pliable and easier to weave than denim! I’m looking forward to it. The garden continues to flourish with multiple little veggies on most plants. If the weather holds and we have no hail, I will have plenty of tomatoes to can and gobs of bell peppers to chop and freeze. I use ½ – 1 bell pepper nearly every meal I cook so having them chopped and frozen will be very convenient and save much time during meal preparation. Jacob and Stormy are planning to visit this weekend. There are problems on our Internet network needing Jake’s magic touch. Blasted lightning!! I’m soooo looking forward to seeing them and have begun planning menus, doing a little cleaning and clutter busting. No matter where you are or plans you’ve made, I hope you have a joyous Mother’s Day weekend!